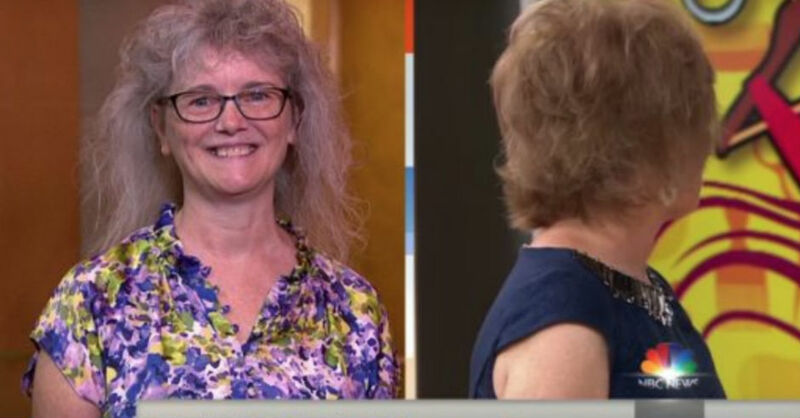 It was an eventful 60th birthday for Bonnie Amend, one of two women to receive a complimentary makeover courtesy of The Today Show. Louis Licari (a hairstylist) and Jill Martin (one of the morning hosts) selected the lucky recipients in their recurring segment. Amend made the trip specifically in hopes of getting an "ambush makeover," and her birthday wish came true. For Amend's daughter, this 60th birthday felt like the perfect time to get a fresh start. The librarian was not accustomed to wearing makeup, so the focus of her makeover was primarily on finding the right makeup combinations to suit her face. Meanwhile, 58-year-old Lenise Melton also got a makeover, much to the delight of her friend Sheryl, who had suggested that she attend the taping for just that reason. A sign that Sheryl made by hand caught the attention of Licari and Martin, leading to Melton's selection. For her, the makeover was about getting a new hairdo and an overall update to her style. Both women enjoyed their makeovers, and their friends and family were delighted when they saw the finished result at the grand unveiling. It's amazing what a little help from a professional stylist can do!